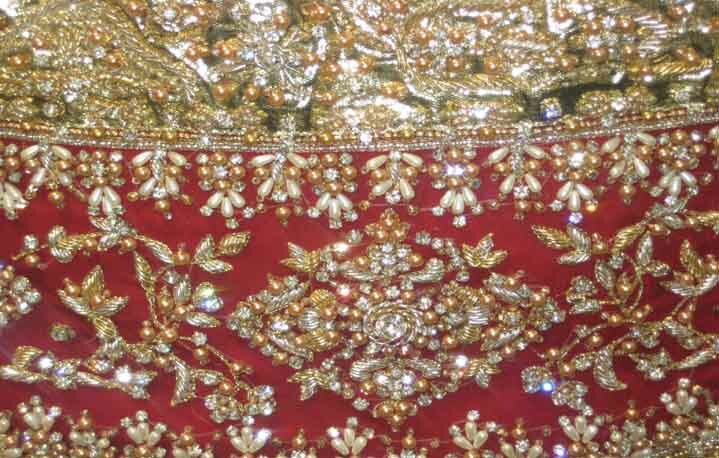 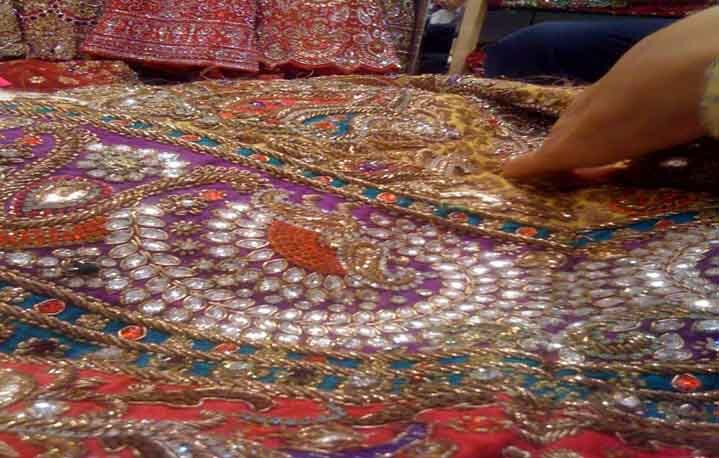 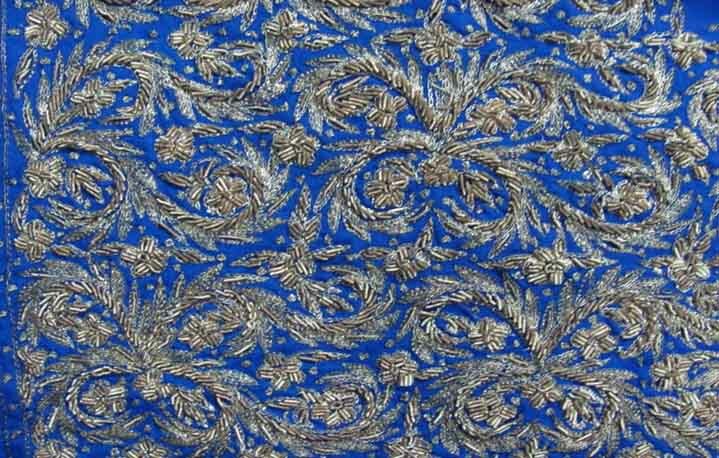 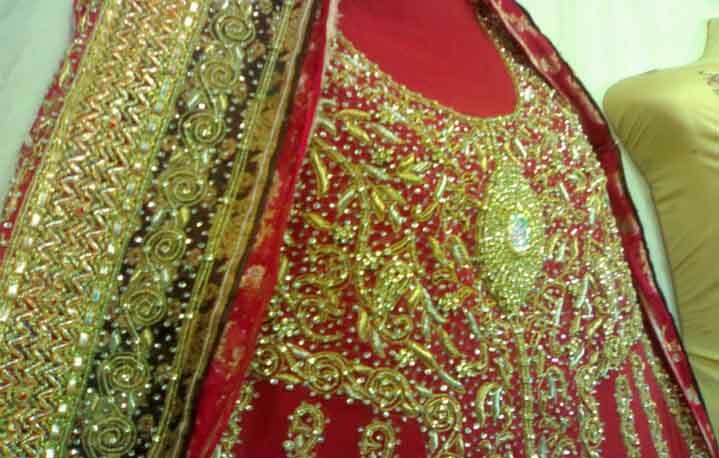 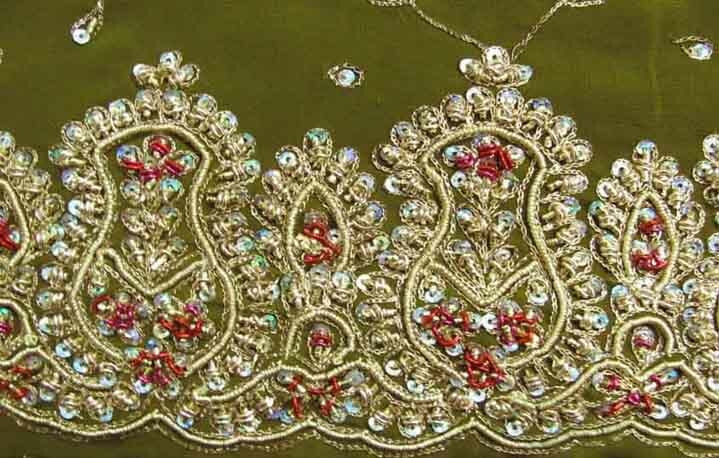 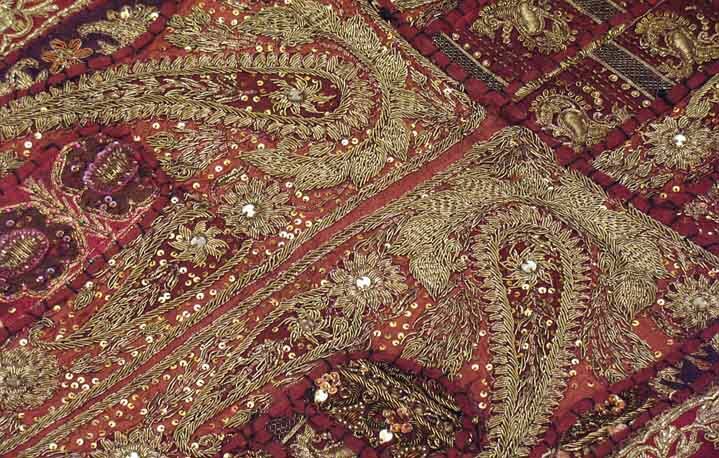 Dabka or Dapka is a very detailed type of needle work which is done after the fabric has been put on the adda and chhapai is completed. 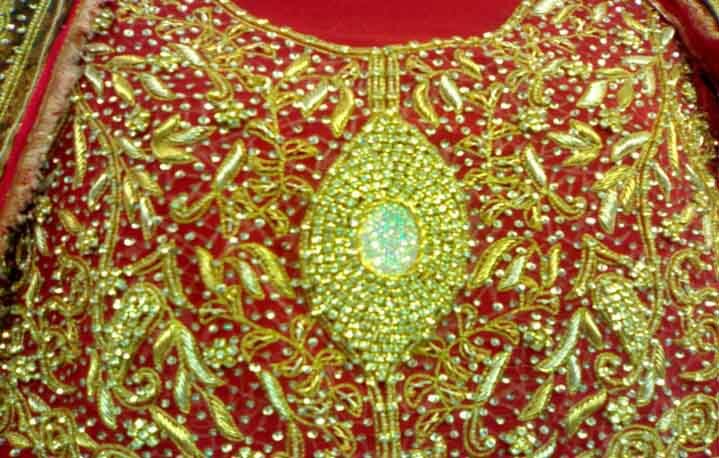 At least three to four worker workers are required for a detailed and fine work at the same time on the same piece. 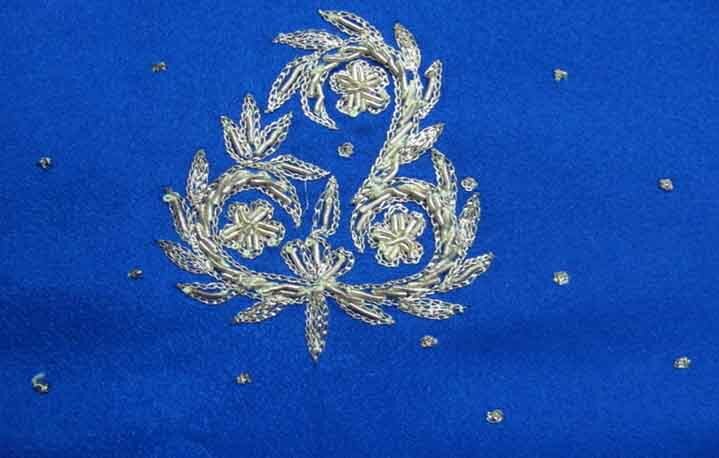 First a thick cotton cord is stitched on the pattern to be embroidered. 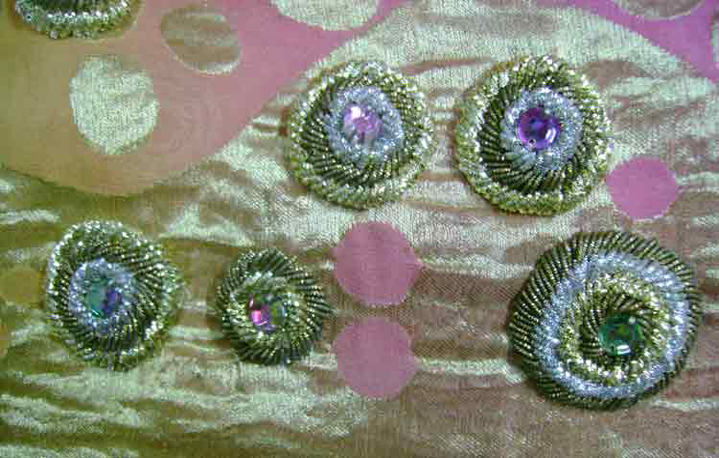 Then on this cord prefabricated zari thread is looped on with an ordinary stitching needle. 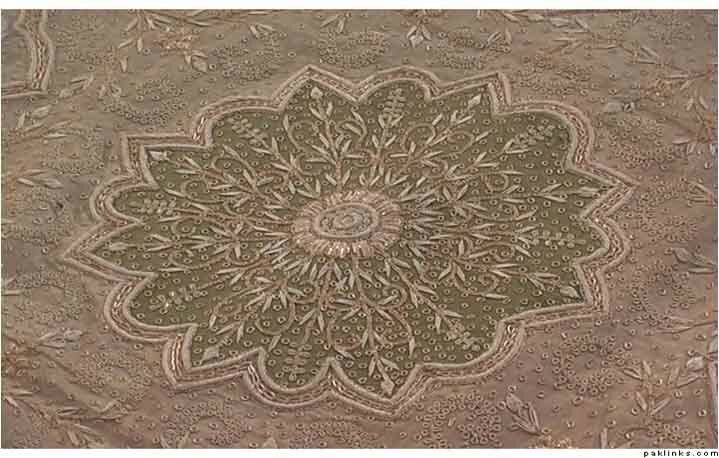 The patterns mostly made are of flowers, leaves, or the national bird of India – the Peacock. 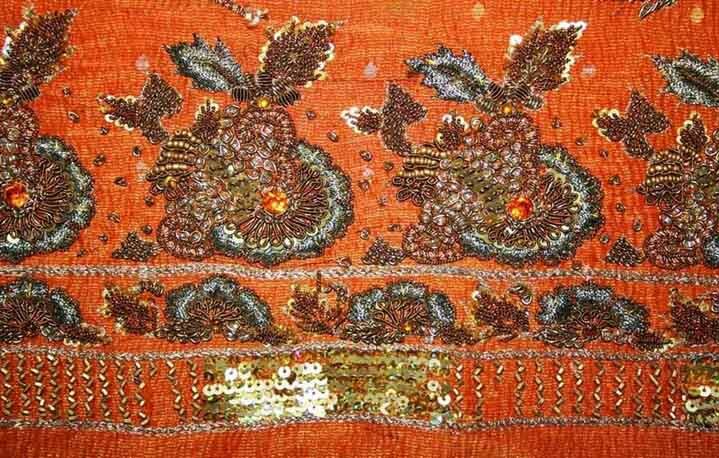 Skilled kaarigar's can even do french knots with the smallest size (diameter) of dabka.